A thought provoking book which promises to be of interest to the devotional community. A compilation of twenty-one articles written over a period of three years. 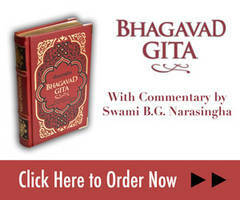 Each of the articles disputes a particular misconception prevalent in the Gaudiya Vaisnava world, and establishes the proper understanding of various controversial issues.